Freshwater Marlin Fishing! White sturgeon are the NW's hardest fighting freshwater fish! These majestic fish have called the Columbia River home for more than 200 million years! Their prehistoric armored look tells much about their fortitude and ability to strip off 200 yards of line in an amazing arm burning run that will leave you laughing and trying to play catch up when they turn and run straight back at you! We love Shallow water where these fish jump like crazy and we highly recommend it! This is our favorite fishery of the year! We love our sturgeon! They are an icon that stands for what we believe in here on the Columbia River ... working hard, staying power and having fun! Light tackle, big fish, lots of fish, nice weather, calm waters. Doubles, triples and quadruples are common. Like I said, We love our sturgeon fishing! 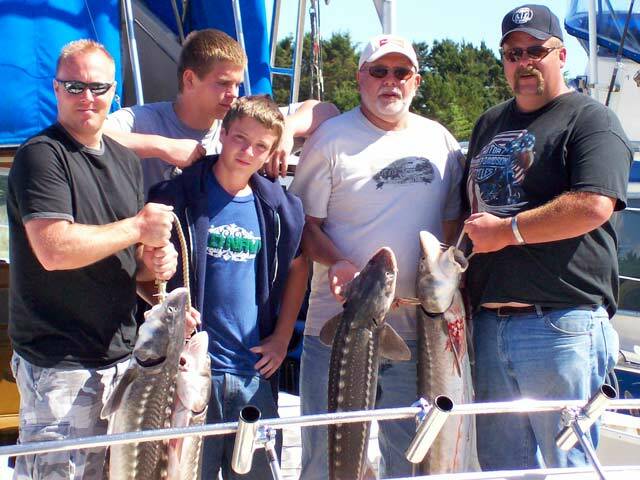 Sturgeon fishing is year around. Our average sturgeon range from almost four feet to six feet in length with realistic opportunity for a 8-9 footer, and the possibility of the "Big Mo" 10+ foot sturgeon! 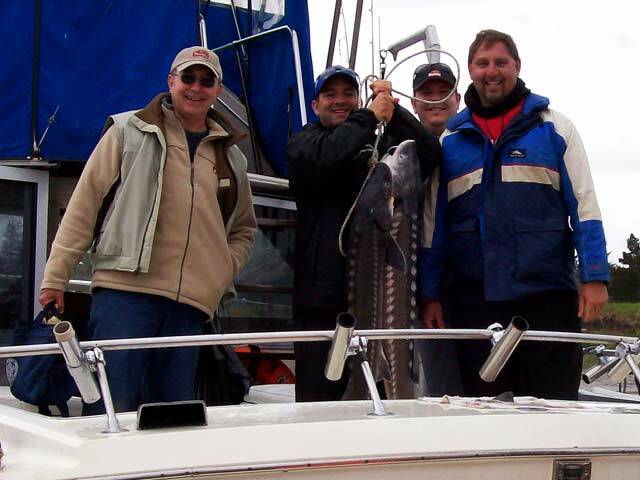 These are big fish that fight unreal hard, we love that about them, like I said earlier, we love our sturgeon!